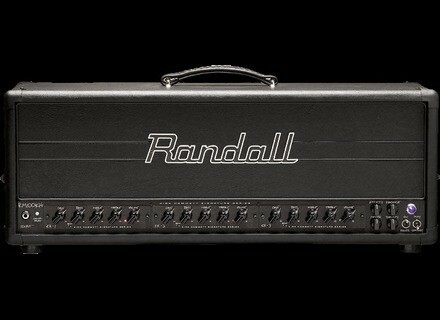 RM100KH, Solid-State Guitar Amp Head from Randall. Randall Amplifiers has announced the RM100KH custom Kirk Hammett amp — complete with three MTS preamp modules. Randall says the custom head puts out 100-watts of power, while harnessing the vast range of the accompanying MTS modules. We're told that the three custom Kirk Hammett modules allow for tones that run the gamut from classically clean to brutality crunchy, representing tones from Kirk's early, mid and later years. Apparently the MTS preamp modules are fully swappable and interchangeable, allowing musicians to pair existing modules with Kirk's legendary tones to build the ultimate rig. Pricing and Availability The Kirk Hammett Custom Amp retails for $1,999.00 and is available at exclusive Randall dealers. For more information, visit their web site at www.randallamplifiers.com. Graph Tech Ghost LB63 Graph Tech Releases Ghost LB63 MIDI And Acoustic Technology For Floyd Rose Bridge. Seymour Duncan SH-15 Alternative 8 Seymour Duncan presents the SH-15 Alternative 8, a humbucker that happens to be the brand's first ever production pickup to use an Alnico 8 magnet.